The amygdala is a set of small, almond-shaped clusters of nuclei near the base of your brain. These almond-shaped clusters are the most active when you experience fear or aggression, due to the fact that they are responsible for triggering the body’s fight or flight response. The amygdala is the starting point for your fear and anxiety reactions. First there is usually an emotional or environmental trigger: obsessive negative thoughts, or something you see, smell, hear, taste, or feel. Note that the trigger can also be inside you. You may not always know exactly what’s triggering it. The subconscious mind is a very real thing. The amygdala reacts to a trigger by preparing you to fight or run away. Triggers that are related to emotional past experiences produce stronger reactions in the amygdala. Preparation for fight or flight involves the release of the adrenal chemical epinephrine into the bloodstream. Epinephrine is associated with adrenaline, and makes all your bodily processes speed up. The epinephrine released also has the side effect of raising blood sugar levels in the body. The blood sugar is then available to the muscles and can be converted into quick energy. Shaking encourages blood to reach the extremities and can also be the result of the extra energy in the body. Epinephrine boosts the heart rate, which sends extra blood to power the body. Extra blood from the heart that the muscles don’t use shows up as a red tinge in the face, neck, arms and/or chest. As your heart rate climbs, your lungs have to work faster to make sure the blood circulating in the body is supplied with enough oxygen. Your lungs and heart working harder than normal can cause your chest to ache. The amygdala wants to keep you safe. It’s processes are specifically designed to keep you out of danger. But when it regularly overreacts, it becomes an anxiety disorder. The amygdala is not a “thinking” part of your brain so much as it is a “reacting” part. Its role is not to figure out why you are afraid, but to alert you if bad memories support a fight or flight reaction, and, if they do, to cause that fight or flight reaction to take place. For this reason, it is difficult when your amygdala has already been triggered to “talk yourself out of” the reaction. The amygdala doesn’t much care if your rational mind is saying there’s no real danger: it has reacted because other parts of your brain believe that there is. Even though you can’t see or feel it, there’s a lot you can do to help keep that small, almond shaped bit of your brain in check when you find that it’s working overtime. Taking care of your body and mind is the first step you should take. Once you do this, you will be better prepared to face the stressors in your life and hopefully retrain your amygdala to stop reacting to the non-threatening stimuli that produce anxiety. Hypnosis and NLP techniques will help you retrain your fight and flight response and escape from anxiety. 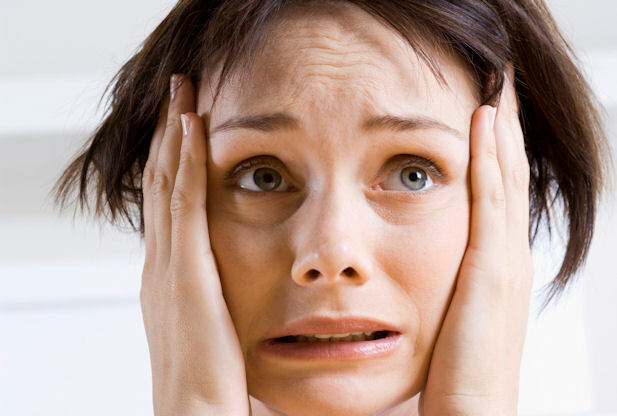 Anxiety is a feeling of unease, such as worry or fear, that can be mild or severe. Anxiety often presents as irritability, restlessness and a difficulty in concentrating. You may find yourself procrastinating more and suffering panic or anxiety attacks. If you suffer from anxiety, you may be tempted to turn to substances, alcohol, gambling or food to cope with your symptoms. Avoidance of social situations and events and feelings of awkwardness can normally develop, completing the cycle of misery! Left untreated, it has a tendency to intensify and normal everyday problems become unmanageable. During times like these, feeling anxious can be perfectly normal. However, some people find it hard to control their worries. Their feelings of anxiety are more constant and can often affect their daily lives. Habitual anxiety, or generalized anxiety disorder (GAD) as it’s sometimes called, is often caused by long-term habits which can take a little longer to resolve .